Invite winter birds to your apartment or yard by filling feeders with the best birdseed blends. 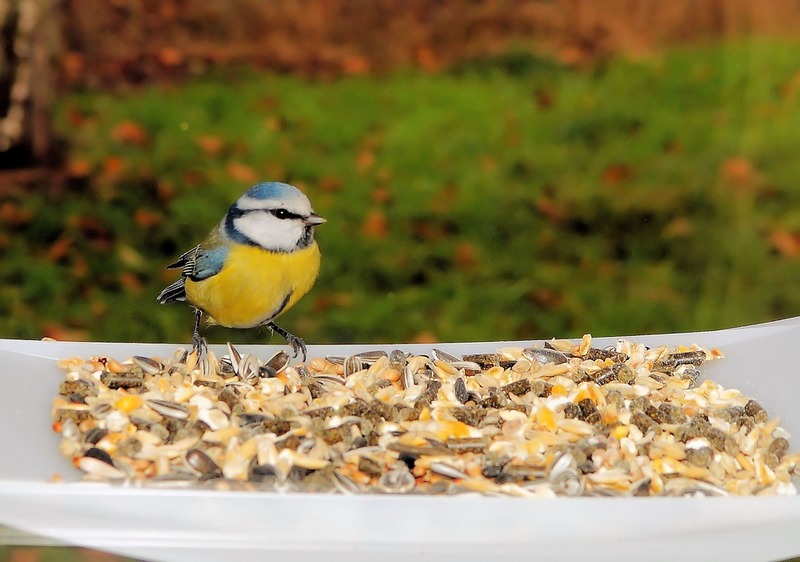 Want birds to flock to your feeders this winter? The secret to coaxing colorful songsters to hang out in your yard is the seed you use to fill feeders. It’s easy to find birdseed for sale — it’s everywhere, from pet stores to supermarkets. The real trick is finding high-quality birdseed. Buying the best birdseed means you’re giving birds the most nutrition per beakful, which is vital during winter’s harsh living conditions. Quality birdseed deters bully birds and critters like rodents or pigeons that can turn birdfeeding into a pest problem. Top-notch bird seed also attracts more bird species, increasing the variety in your backyard bird show. So how do you know if birdseed makes the quality grade? Use these clues to choose the best birdseed. Whether seeds are in bags or bins, give them a close look to make sure they’re intact. Seed hulls create a tight seal over the seed. Broken hulls allow moisture to escape, which means the seed is dry and less nutritious. The exception to this is nuts, like peanuts or the nuts found in woodpecker blends. 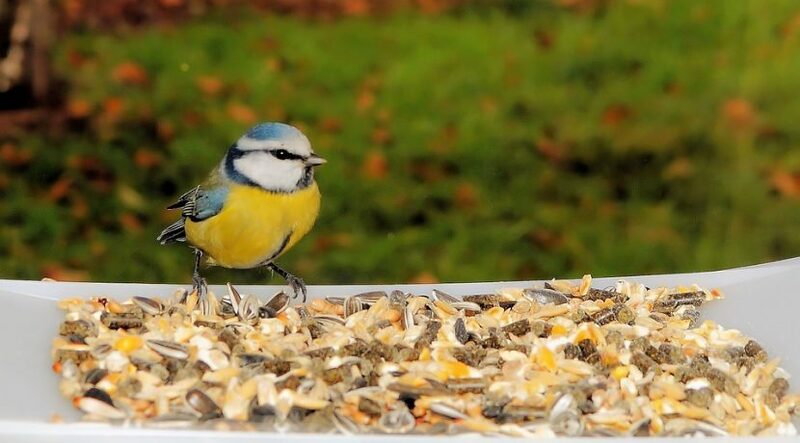 Unless you’re buying peanuts in the shell, most bird feeding nuts are sold without shells. With these, the freshness clue is the odor. The nuts should smell fresh and nutty. Webbing inside a bag or bin or on the outside of a stack of bags is a sign that meal moths are present (and likely feeding and breeding). You may spot small moths flying about or even see larvae (tiny wormy-looking creatures). Avoid bags with obvious meal moth issues, especially if you store your seed inside an attached garage. Those same moths can become ferocious pantry pests, feeding on all sorts of products destined for your dinner table. Another sign of pest activity is seeds with a hole near the tip where an insect like a grain beetle or meal moth larva has entered the seed to feast on the meat. Pass on any bags that show a lot of dust in the bottom of the bag. That’s usually a sign that pests have already munched on seeds. Look for birdseed mixes with little filler, types of seeds that birds dislike. Examples include sorghum or milo (a red seed that’s round like a BB), red millet and cracked corn (which tends to mold easily). Birds knock these filler seeds out of feeders as they search for seeds they like. Spilled seed attracts critters like rodents, pigeons. White millet (small, white, round seed) is often a filler and also the basic component of a popular finch seed mix. It’s a favorite of house sparrows, a bully bird that takes over feeders and houses, robbing native birds. If house sparrows are mobbing your feeders, skip millet-based blends. Instead look for mixes packed with black oil sunflower in the shell, safflower, nyjer or peanuts to offer a blend that’s pleasing to many bird species. Inspect birdseed for any signs of moisture, such as clumping, condensation inside a bag or mold. If a seed blend smells moldy, don’t buy it. Birdseed should smell fresh, not musty. Buying bulk might seem economical, but it’s best to avoid long-term seed storage, or you risk serving birds less-than-fresh seed. Stale seed offers less nutrition per bite and may taste rancid. Birds will turn up their beaks and skip your feeder if you keep it stocked with old seed. In winter, if storage temperatures mimic refrigeration, you can get away with storing seed for a month or more. In summer, avoid storing seed more than two weeks. Specialty wild bird stores tend to get weekly seed deliveries, which helps ensure freshness and extends your own storage time a bit. As you discover which birds are visiting your feeders, look for blends designed to attract those birds. Local feed stores and wild bird retailers often mix their own blends that cater to local bird species. Or consider creating your own custom blend using a mix of seeds, nuts and fruits. Items to consider adding to birdseed blends include nutmeats, raisins, pepitas, winter squash seeds, dried cranberries, safflower, peanuts and black oil sunflower seed and hearts. With birdseed, you get what you pay for. Higher quality seed costs more than a mix loaded with fillers. On the whole, nyjer seed costs more because it’s mostly grown in India and imported. Sunflower seeds are typically produced domestically, so they tend to be more affordable. Expect to pay more for shelled sunflower hearts. All rights reserved to the initial publisher for Diynetwork.